As your parent gets older, mobility issues may make it difficult for them to get in and out of their home. This is especially true if there are steps leading to the door. 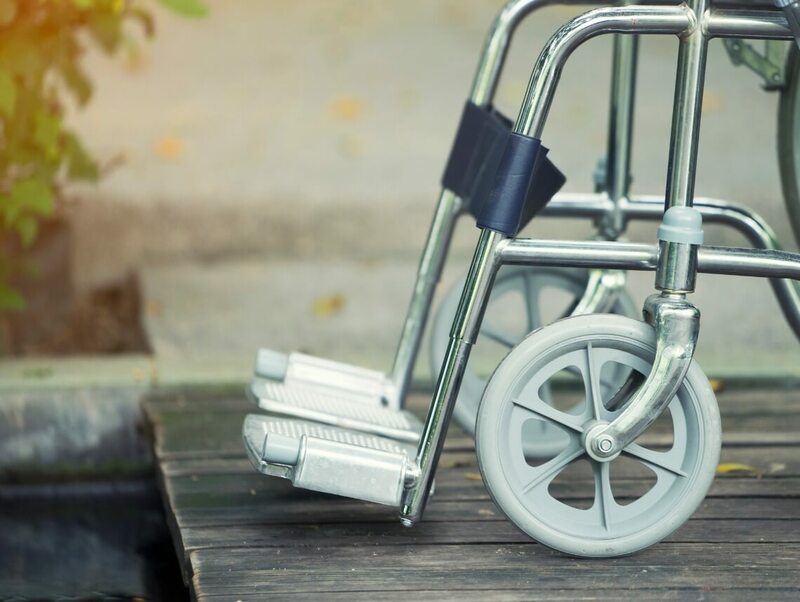 When a senior is confined to a wheelchair, steps can make entering a house impossible. Some family caregivers hire a professional to build a wheelchair ramp for their parent, but if you or other family members have some building skills, there may be no need to hire someone. Before undertaking the project, here are some things to take into consideration. Before you purchase materials to build a wheelchair ramp, consider whether you want to do the work or if it might just be better to hire someone. Building the ramp yourself will probably save you some money. The cost of the wheelchair ramp will depend on how long the ramp needs to be and the material you choose. Building the ramp yourself: about $35 per linear foot. Hiring a builder: about $100 per linear foot. However, cost isn’t the only factor. If you’re not confident in your building skills or if the ramp design is complicated by space restrictions and local codes, it may be wise to hire an expert. Depending on your parent’s house, there may be a couple of doors that are options for entry via a wheelchair ramp. The wheelchair ramp doesn’t necessarily have to lead to the front door. Depending on the configuration of the house, it may be better to build a ramp to a side or back door, or even to a door inside an attached garage. Most areas will require you to get a building permit to build a wheelchair ramp. Check with local building authorities to make sure you understand the requirements and that your ramp plan meets building codes. If your parent’s neighborhood has a homeowner’s association, don’t forget to check with them for a list of approved materials. We recommend you build the ramp in modules and then assemble it at the location rather than building one long ramp in the chosen spot. Building the ramp in pieces allows for easier adjustments and modifications if something ends up being wrong. Also, if a time should come when the ramp is no longer needed, it will be easier to disassemble and you can sell the pieces to regain some of the money spent. Building a ramp can help seniors to stay in their homes longer with the help of family caregivers and professional senior care providers. Just remember to plan the ramp wisely and take into consideration the width of the wheelchair for both the ramp and the door, especially if there are turns in the ramp. Once the ramp is in place, your loved one can enjoy more independence and will have an easier time getting in and out of the house.